Gorgeous Handmade flowers made of paper customized to your favorite color and type. These ever-lasting flowers can be an excellent alternative to fresh flowers and suit a variety of occasions including your wedding (bouquets, table arrangements, and boutonnière), valentine's gift and 1st anniversary or to just make any day to a very special one! 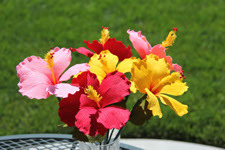 Exquisite and stunning clay flowers crafted to detail and customized to your very special occasion! 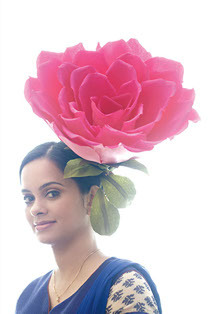 These flowers are very light-weight making them perfect for bouquets and hair-flowers. These flowers will last a life-time!! Bouquets would eventually become wonderful mementos of your wedding day. Are you looking for unique, one-of-a-kind arrangement/bouquets, for your very special occasion, please feel free to contact me. As featured in the October 2013 issue of Diablo Magazine. Click on the picture or here for details. 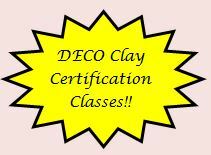 Enroll in Deco Clay Classes !! !